Making roast beef is so simple it hurts. 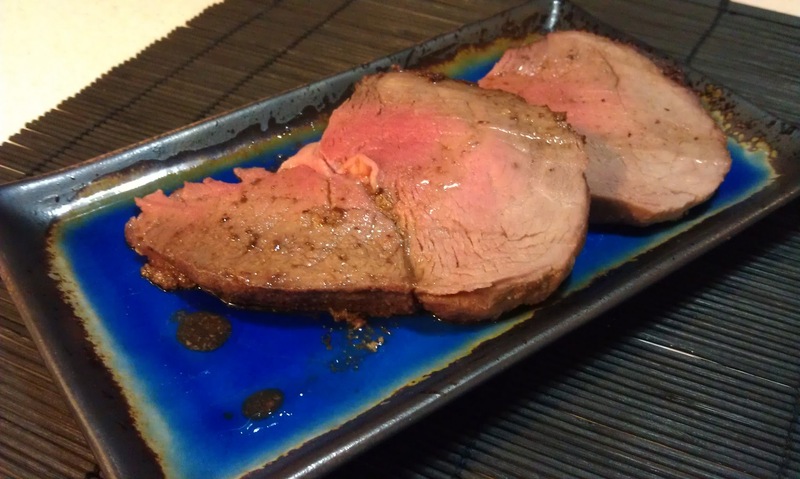 Roast beef is naturally low-amine (so long as it’s fresh off the hoof), and makes a great addition as a protein in a meal, or can be sliced thin for sandwiches and wraps. Rub dry seasonings all over roast. Put roast in small Pyrex or ceramic pan. Pour oil over the top. Roast for 40 minutes (basting every 5 minutes after the first 20 minutes), or until internal temperature reaches 140 degrees. Remove from heat and transfer to cutting board. Allow to rest for 5 minutes. Cut and remove strings holding it together, if there are any. Slice roast beef however you prefer, thick or thin. To save leftovers, I reserve all cooking juices and blood on the cutting board and pour it back over the saved pieces. Thank you for an interesting blog! Where do you buy your fresh meat and seafood? Also, what was your source that eggs increase in amines the longer they cook? I have never read that but great to know! I buy my fish and meats at farmers markets whenever possible!